I recently visited a prospective client who was running a successful internet business. The company has grown over the last year to 30+ employees and the office was spectacular I thought to myself, this is a company that at least 9 out of 10 prospective employees would want to work with. The office had an open concept with ample room, plenty of light, and an environment that promotes collaboration. I quickly found that something was missing as I stood at the entrance wondering who I should speak to. My eyes were lead to person in the office that was closest to me. The person looked to be important but definitely not the receptionist. I approached the office to introduce myself and to explain the reason for my visit. The person responded and advised me to wait as they find the person in question. He proceeded to stand up and started walking from one end of the office to the other trying to find my contact. With that, I realized what was missing. It was the reception area. A place that welcomes visitors, provides a phone or person to alert the employee that their guest has arrived, and a waiting area. I am not saying to go out and hire a receptionist. I would suggest that the minimum requirement for a waiting area would be a telephone and a chair that gives every visitor an opportunity to call their contact to let them know they have arrived. 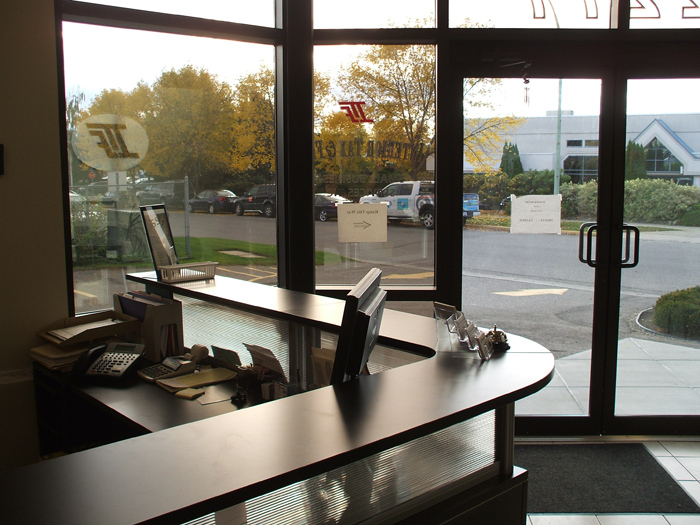 How are you greeting visitors as they arrive to your company?